Arsenal were held to a goalless draw by Southampton at the Emirates Stadium last night. Despite the scoreline, the game had plenty of action at either end, but ended up scoreless nonetheless. With plenty of varied performances across the pitch, Arsenal and Southampton were both glad yet disappointed to come away with a share of the spoils.Arsenal were delivered a body blow to their title challenge, as the dropped points meant that they trail leaders Leicester City by 5 points, while Manchester City and Tottenham Hotspur leapfrogged the Gunners, with the Saints climbing to 7th.Here are 5 talking points from the game. The Gunners have adequately weathered the injury to key personnel, but that could only last for so long. Alexis Sanchez and Francis Coquelin have come back from injury, but could not perform with the same rhythm that they did pre-injury. 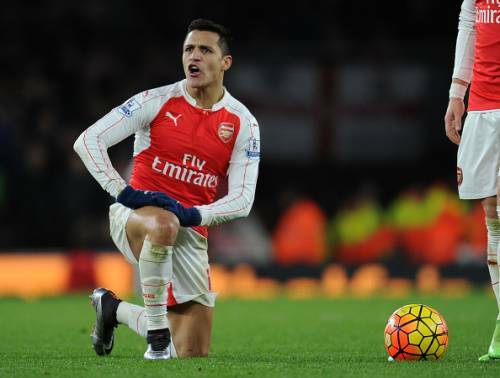 Sanchez is the Gunner's talisman and while he was tireless as ever, failed to provide a lethal spark for Arsenal. However, the Chilean did dovetail well with Mesut Ozil, with the duo interchanging positions at will, Sanchez played the role of provider far too often when Arsenal really needed him at the sharp end of the pitch. The electrity that Sanchez normally brings to Arsenal’s attack was missing, and the Emirates faithful will hope he comes into rhythm sooner rather than later. Francis Coquelin came on quite late in the game for Mathieu Flamini and promptly picked up a yellow card. The younger of Arsenal's French defensive midfielders would have protected Arsenal's defence from Southampton's raids on the counter attack far better than Flamini did. Arsene Wenger will hope that Coquelin remains fit and gets up to speed as soon as possible for the run in. Arsenal ended up the game having had 10 shots on target, but without scoring, a league high. Southampton had Frazer Forster to thank for that, as the English keeper kept up his good form since his return from injury, as he is yet to concede a goal in the 4 matches he has played since his comeback. Forster’s save from Ozil’s deft control and shot at the start was only a sign of things to come. 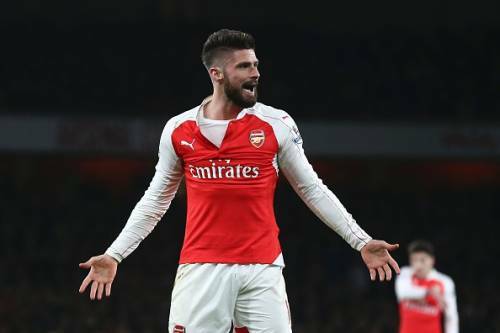 The Englishman made himself big to thwart Ozil from close range when he seemed certain to score, while fantastically turning away Giroud’s right footed curler past the post in the second half. 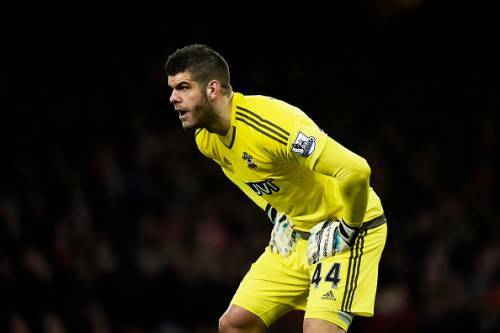 A double save to keep out Theo Walcott soon followed, as Forster made 10 saves in total to keep out Arsenal. 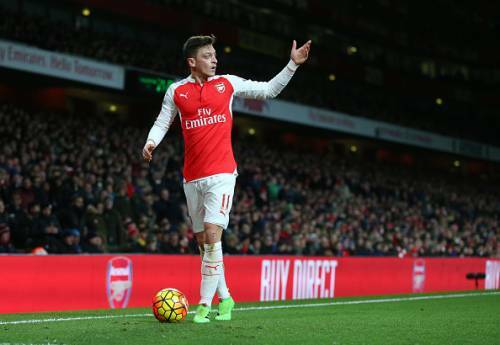 #3 Has Mesut Ozil gone off the boil? It’s rather harsh to question Mesut Ozil, as the German was arguably Arsenal’s best player of the night. However, this was the fourth consecutive game in which Arsenal’s creative lynchpin failed to provide an assist, which is in stark contrast to his assist-a-game run prior to this dry spell. Ozil himself seemed aware of this lack of assists and was far more active in the final third than normal. His touch to pluck Alexis Sanchez’ lofted ball out of thin air early on in the game will be the subject of many vines that are looped over and over again. However, the cold hard truth is that Ozil followed up that touch with a rather tame effort when a player of his class could have done better. The German combined well with Alexis Sanchez, together creating some of Arsenal’s best chances, but were guilty of a lack of a killer touch. Ozil perhaps can claim that he is Arsenal’s creator and is subject to other player’s finishing prowess, or lack thereof, particularly in the case of Laurent Koscielny, as the Frenchman headed over the bar after Ozil had put the ball on a plate for him to score with a delicious inswinging cross. 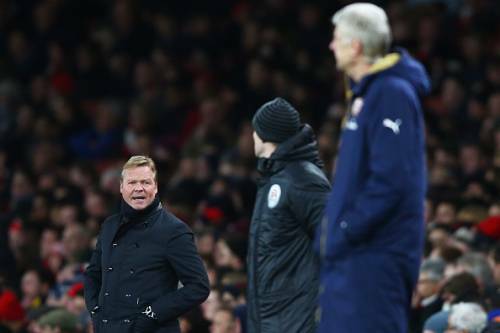 Arsene Wenger does not like to face sides managed by Ronald Koeman – the Frenchman has a rather pitiable record against the Dutchman having beaten him only twice in 10 attempts (W2 D4 L4) prior to this game. The run continued at the Emirates last night as Arsenal strugled against a Southampton side that sat deep and were set up to counter. Oriol Romeu and Victor Wanyama started the game for Southampton as the central midfield pair, and the defensive duo broke up Arsenal’s play quite well, rarely venturing forward. Romeu made 8 tackles in the first half alone, more than any other Southampton player in a whole Premier League match this season. Alongside Wanyama, Romeu forced Arsenal to attack down the flanks instead of their usual probing down the middle, thus stifling Arsenal. Southampton came with a clear strategy of attack – Sadio Mane and Shane Long were set up to counter with pace and trickery, with the Senegalese attacker thriving in particular. Mane intercepted an underhit Gabriel back-pass and drove towards goal but scuffed his shot, while he could have forced a penalty when the Brazilian dove in on him recklessly in the box. However, Southampton lacked the finishing touch, and with Charlie Austin picking up a knock, Koeman will be hoping he can count on him to further fine tune his playing style, which worked wonderfully at the Emirates. Arsenal have failed to find the net in the last three games, with two of them being goalless draws against Stoke City and Southampton in addition to the 0-1 loss to Chelsea last week. Arsenal’s competitors in the title race have stolen a march on them in the intervening period, having had a striking force who’ve been scoring with regularity . On a night when Olivier Giroud, Joel Campbell and Theo Walcott toiled without any reward, an Arsenal fan would be forgiven for looking across to their title rivals with envious eyes, as Jamie Vardy, Sergio Aguero and even Harry Kane all scored vital goals for their respective sides last night. Joel Campbell in particular looked quite ordinary, as though the Costa Rican worked hard, lacked the guile or inventiveness required to break down an obdurate Southampton defence, a description that coould easily apply to Giroud and Walcott. Apart from Ozil and Sanchez, Arsenal’s attack underperformed massively and the Gunners lacked more options to change their tactics from the bench. With Danny Wellbeck in training, Arsene Wenger will hope that he can change things around in the crucial run in, as Arsenal hope to claw back the 5 point gap that has opened up at the top of the table.